Dr. Christine Gilliam and the rest of the staff at Everyone’s ENT & Sinus Center would like to thank you for trusting us as your child’s local San Antonio and Stone Oak, Texas ENT. 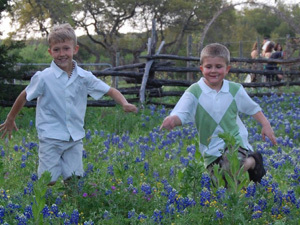 Dr. Gilliam works hard to provide quality service that is affordable for families. Your child’s ear, nose and throat issues are our priority, and we will do everything we can do ensure your child is both relaxed and comfortable during their visits at our practice. Learn more about our pediatric services below and see what Dr. Gilliam can do to improve your child’s health. If you would like to schedule an appointment, please contact us at our office or fill out an appointment request form online. Does your child have unresolved ear, nose or throat issues? Call Everyone's ENT & Sinus Center at (210) 647-3838 today and schedule an appointment with a Pediatric ENT at our San Antonio, TX office! The adenoids are made out of the same tissue as tonsils. They sit in the back of the nose next to where the Eustachian tubes open and close to equalize the ears. When the adenoids are enlarged or chronically infected, the Eustachian tubes become congested, which prevents the middle ear from equalizing. This negative pressure causes recurrent ear infections. The adenoids themselves are also a source of bacteria for the ears and the nose. Infected or enlarged adenoids can cause sinus infection, nasal congestion, and chronic rhinorrhea along with ear infections. If your child is a chronic mouth breather or has recurrent sinus infections, the adenoids may be part of the problem. An Adenoidectomy is a same day surgery. Your child will be given a medication prior to surgery. This medication will make them feel a little goofy. This medication also helps them not remember anything about the surgery. I tell kids it's like falling asleep in the car and when you wake up, it's all over. Once in the operating room, the patient will have an IV started along with general anesthesia. They will be completely asleep for the entire procedure. The adenoids are removed through the mouth. The area is cauterized to prevent any bleeding. This area takes about two weeks to heal. Post op pain for most children is very minimal. Typically only Tylenol is needed for pain. Once the surgery is complete, the child will go to the recovery room for about an hour. Coming out of anesthesia may leave some children confused and somewhat upset for a short while. Most likely they are fussy because they are trying to figure out what is going on vs. pain causing the fussiness. Other kids wake up like they do from a simple nap. To control any discomfort the child may have after surgery, I recommend scheduled Tylenol every 4-6 hours for the first 24-48 hours then as needed. Use the regular dose based on age and weight per the instructions on the Tylenol you normally buy. Antibiotics will be prescribed to decrease the risk of post op infection. Due to the area healing, decreased activity is recommended for two weeks after surgery. This does not mean the patient has to be in bed watching movies, but no sports, band, gymnastics, etc… for the two weeks post-operative. I also recommend the child home for 5 days after surgery with family or friends to watch for any post op complications. Though complications are rare they can still occur and are highest in the first few days after surgery. It is possible to develop a change in the voice after an adenoidectomy. This is usually due to having removed the large obstructing adenoids from the back of the nose. This causes a change in the voice, but the voice is usually more normal and not so "congested" as before surgery. Severe nasal speaking has been reported after an adenoidectomy; however, most changes resolve after 6 months. Infection and bleeding are always a risk with any surgery, but fairly low with adenoids. However, this is why we take appropriate precautions. Recurrent ear and sinus infection along with nasal congestion can occur for other reasons. So all factors have to be evaluated; however, when looking at an adenoidectomy alone at least 50% of patients have a large improvement in nasal symptoms. Several patients can have complete resolution of nasal symptoms with removal of the adenoids. Looking at the overall child and determining all surgical and medical options for the patient is best; however, removing the adenoid is very beneficial for several patients. Post-operative Instructions - Click to download post-operative instructions after an adenoidectomy. The Eustachian tube is a tube that runs from the middle ear space to the back of the nose. It is a very dynamic structure that opens and closes when you talk, yawn or eat. This is why you can hold your nose and pop your ears; the Eustachian tube equalizes the middle ear. In young children, the middle ear space can get infected. Oftentimes, the infection recurs frequently. Also, if the middle ear does not equalize (or pop) correctly, fluid or pressure can buildup. This can cause decreased hearing or long-term damage to the ear. In infants and young children, the Eustachian tube is immature. It is shorter in length and less angled. With age the Eustachian tube matures and is able to keep the middle ear equalized better; so, there is less pressure, fluid buildup, and infections. The rate of maturity varies. Many children experience recurrent ear infections between 1-3 years of age; however, during this time period speech development is vital. Therefore, one has to be careful with allowing Eustachian tube dysfunction to go unchecked. Most kids "outgrow" Eustachian tube dysfunction around age 6 or 7. Taking your child to see an ENT doctor is a good idea to make sure your child’s development is on track in these early years. For the procedure, general anesthesia is administered using a mask but an IV is not required. Once the patient is asleep, using an operating microscope, the ear drum is visualized. A small incision is made in the ear drum, any fluid within the middle ear is suctioned out, and the PE tube is placed. With the PE tube in place the ear does not depend on the Eustachian tube and can equalize through the tube. The tube generally stays in place for 9-12 months. The patient is seen every 6 months to make sure the tube falls out and the hole heals in the ear drum. Once the tube falls out, follow-up appointments will be scheduled. During the appointment, the patient's ear will be examined to make sure the Eustachian tube has matured enough to take care of the middle ear without assistance. One of the most common reasons for Eustachian tube dysfunction is general immaturity. However, anything that can cause swelling or congestion within the nose or back of the throat can cause congestion around the Eustachian tube. Allergies, exposure to second hand smoke, large adenoids, reflux, or sinus infection can cause congestion. Children in daycare commonly experience viral or bacterial infections that can cause recurrent inflammation. This can lead to Eustachian tube dysfunction. Serous Otitis media is when a child has non-infected fluid in the middle ear. Children with an inflamed red ear drum with fever (acute otitis media), is very concerning to parents and physicians. However, the patient with continued fluid in the middle ear is just as concerning. This patient may not complain about ear pain or only complain on occasion. Due to minimal complaints from the patient, this condition can go unnoticed causing mild hearing loss. The child will respond to you because he/she can "hear" but not as well as he/she should, which prevents them from being able to hear all the vowels and consonants needed to form speech. Hearing issues is one of the main reasons for speech delay. Antibiotics - The medical treatment of ear infections primarily involves the use of antibiotics. The types of antibiotics chosen and the length of treatment typically depends on the number of infections that the child has had, the age of the child and any medication allergies. Treatments for allergies or reflux may decrease the rate of infection. PE Tubes - the indications for putting in Pressure Equalization tubes when medical treatment has failed depends on many factors including: the number of infections, the length of time the child has been having problems, if fluid remains after the infection is treated, the severity of infections, what it takes to clear the infection, complications from the infections (ruptured ear drum, febrile seizure), hearing impairment, speech delay, etc. General anesthesia with a mask, No IV or breathing tube placement. The surgery takes 5-10 minutes. After a short time in the recovery room, anywhere from 15 minutes to 1-2 hours, your child can go home. At home, your child may be a little fussy later that day but a dose of Tylenol usually takes care of any discomfort. Be careful if your child likes to climb on things, because he/she can be a little uncoordinated after surgery for a day or so. Ear plugs will need to be worn while bathing or swimming for the first month. After one month, if no drainage is present, you can bathe your child without plugs, but if they swim in any community pool, lake, river, etc. please put plugs in their ears as a precaution. The tube can be pushed into the middle ear during surgery (very rare). The tubes can become occluded with wax, blood or drainage and need to be replaced. This usually occurs a couple of weeks after surgery. Most of the time it can be unclogged with medical management but sometimes another operation is needed to replace the plugged tube (rare). The tubes can fall out and leave a hole in the ear drum that would have to be repaired with another operation (rare). This occurs in about 1% of surgeries. However, the most common problem is continued infections after the tubes are inserted. This can occur 10% of the time. Many times there are other issues such as reflux, allergies, adenoid hypertrophy, etc… that need to be addressed to prevent infection and drainage. The majority of patients will only need one set of tubes. Some require 2 or more sets. This is because the age at which each child is going to outgrow his or her ear problems varies. If your child's tubes fall out before the time that he/she has outgrown the problem, another set of tubes may be required. There is no way to tell if the child's Eustachian tube has matured enough when the tubes fall out. We give the child the benefit of the doubt and allow time to tell us if they will develop ear infections again. However, after one set of tubes it is usually clear if the child is going back into the previous pattern of infection prior to have several infections. As a pediatric ENT doctor Dr. Christine Gilliam handles many cases of ear infections a year. 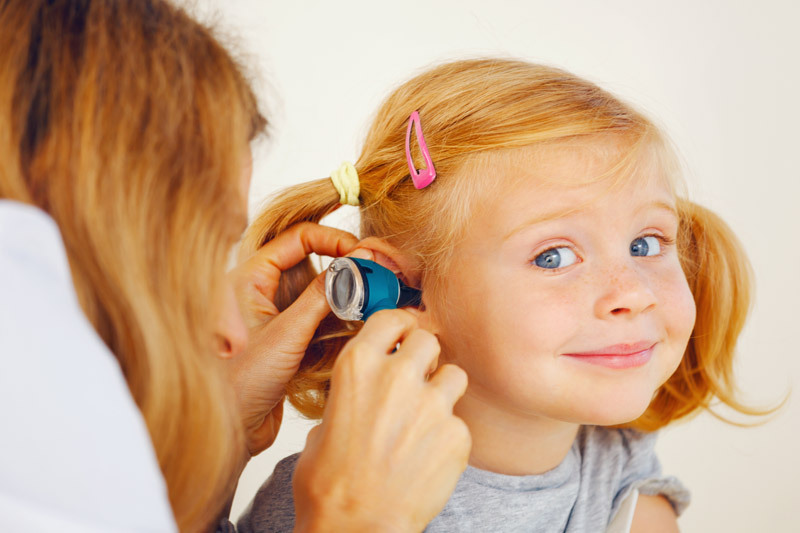 Even if your child is not expressing discomfort it is still important to get their ears checked to be sure his or her development is on track. Post-operative Instructions - Click to download post-operative instructions after PE tube insertion. Tonsils and adenoids are part of the immune system. They are larger in children as the immune system is maturing; therefore, they trap bacteria and can be a source of infection and blockage. Here at Everyone’s ENT we are experts in pediatric ent treatments and procedures to treat tonsillitis. There are a variety of problems that originate in the tonsils. Enlarged tonsils can cause obstructive sleep apnea, eating problems, or recurrent infections. However, tonsils do not have to be big to cause infections. Enlarged adenoids can be a source of infection for the nose, throat, or ears, and can block the back of the nose, which can lead to nasal obstruction and chronic rhinorrhea. Removing the tonsils and adenoids is a very common procedure that does not leave your body defenseless. Your body is equipped with other "filters" that assist your immune system in keeping you healthy. Patients may feel that the tonsils are the root of their repeated sore throats, when actually it is post nasal drainage from their sinuses. Other patients have come in concerned about recurrent sinus issues in their child and removing the adenoids treated the problem. Come in for your or your child’s comprehensive evaluation with Dr. Gilliam. The first step to treating tonsillitis is using antibiotics. Unfortunately there are no real preventative medications to keep the child from getting infections. Some studies with xylitol or with low dose prolonged antibiotics have shown benefits. However, once a child starts getting recurrent infections, they usually continue to get them until the tonsils and adenoids are removed. A tonsillectomy is a same day procedure. First, the child receives a medication pre-operatively, so they are unaware of what is happening and won't remember the events prior to surgery. Next, they are taken to the operating room. The procedure is performed under general anesthesia. Surgery takes about 30 minutes. Finally, the child is taken to the recovery room where he/she stays for 1-4 hours. The surgery is done through the mouth. The tonsil is removed completely from the tonsillar fossa to prevent any infections in the future. To remove the adenoids, the doctor will open your child's mouth and use a small mirror to look behind the palate. After surgery, the child can have whatever they feel like eating other than scratchy foods like popcorn or chips. However, the child must drink. They are not replenishing fluids so they don't need to have Gatorade or Pedialyte. Water is best. The only liquid that is not recommended is soda pop. Soda is not a good hydration liquid and at times the carbonation does not feel good. We will prescribe antibiotics and pain medication following surgery. Tylenol can be taken every four to six hours for the first 48 hours to help manage pain instead of using the prescribed pain medication. Tylenol and the prescribed pain medication cannot be taken together. Patients should stay at home for at least one week due to the bleeding risk that can last for up to 14 days. Patients should avoid PE and other physical activity for at least two weeks. Patients should not travel for two weeks. The largest risk for a tonsillectomy is post-op bleeding. Although the risk for post-op bleeding is relatively low, adults are at a higher risk than children. This potential risk is present for up to 14 days after surgery. Generally, patients will benefit from the significant reduction of snoring, sleep apnea, sore throat and pharyngitis. Our team here at Everyone’s ENT encourages you to bring your child in for a consultation to see if treatment whether it is antibiotics or a procedure is a good fit. Sinusitis in children is not the same as in adults. Not all of the sinuses are developed. Among children, the rate of development differs. For some children, the sinuses continue to develop into the late teens. Rhinosinusitis, which is inflammation and infection of the nasal mucosa, more than the mucosa of the sinuses, is more common in children. However, children rarely experience severe sinusitis. A complete evaluation of all factors, including the anatomy of the sinuses, adenoid enlargement, allergies, reflux, immune system development, as well as secondary exposures, such as daycare or second hand smoke, all have to be considered. For some children, antibiotics are used for up to three weeks. Nasal saline flushes and nasal steroids are used to aggressively treat sinus infections. An allergy treatment may also be necessary after medical treatment for those patients with certain allergies. Once the infection has been brought under control, we will develop a plan to maintain the sinuses to prevent recurrent issues. For patients whose symptoms cannot be medically controlled or if a CT scan shows severe sinusitis, surgery may be needed. There are several options for sinus surgery including balloon sinuplasty, adenoidectomy, and/or functional endoscopic sinus surgery. This surgery is usually performed on an outpatient basis under general anesthesia. You will need to be off work/school for a week, decreased physical activity for two weeks, and no flying for three weeks after surgery. The patient will feel like they have a bad head cold with pressure and congestion for 3-4 days. Pain medication is prescribed, but many patients quickly transition to just Tylenol. There will be a one week post op visit. If the septum (the divider in the middle of your nose) was repaired during sinus surgery, the splints will be removed at this visit. Though many patients need their septum fixed at the same time as their sinus surgery, a lot of children do not. If no septal work is performed, the child will not have splints. Another follow visit will be scheduled two weeks after surgery. At this visit the nose will be evaluated using a scope, to gently remove any debris remaining in the nasal cavity. The patient is to start saline flushes in the nose right after surgery. This cleans the nose and helps remove crusting and debris from the nose as it heals. Even though you may be "feeling" better a week after surgery, complete healing can take up to a month. Patients with diabetes or patients who may smoke may experience a longer recovery time. When sinus surgery is performed because of an infection, approximately 80% of patients feel better and experience fewer or less severe infections. Sinus surgery has proven to be beneficial for up to 95% of patients with sinus infections. For patients who have sinus surgery for other reasons, (severe headaches or the removal of polyps), the success rate varies, but research still shows the majority of patients benefit from having sinus surgery. Minor bleeding is common after sinus surgery. Excessive bleeding that requires hospitalization and re-operation are rare. While severe complications are very rare (1-2%), they may include meningitis, cerebral spinal fluid leak, tear duct problems, double vision and blindness. Post-operative Instructions - This is a link to our download page which has my instructions for care after Sinus Surgery.